Syrian migrants have been in the news a lot, for mostly bad reasons. However, amid all the grim reports, what has gotten overlooked is the story of Syrian migrants who came to the United States as early as the 19th century and established thriving communities. Today with the help of Ellen Brait and Mahita Gajanan, reporting from New York, from The Guardian we are going to spotlight the Syrian community in New York City. Their article, "Little Syria: New York preservationists fight for remains of historic cultural hub," looks at the fight to save this onetime home for Middle Eastern immigrants from being taken over by a skyscraper development. What remains of this once flourishing neighborhood are three buildings, testament to what was once the epicenter of Middle Eastern immigrants. Todd Fine, the president of the Washington Street Historical Society (http://www.savewashingtonstreet.org), is leading the efforts to preserve the community's history. Mses. 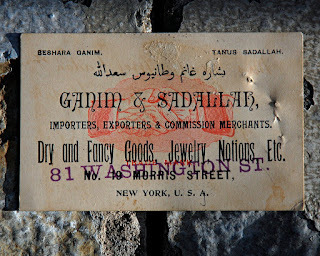 Brait and Gajanan write, "At its height between the late 19th and early 20th century, Little Syria was home to a thriving community of immigrants from the Middle East who established the neighborhood as a cultural and mercantile have." With a remnant of this once sprawling neighborhood remaining and a tiny number of its former residents still living, Mr. Fine, together with other preservation minded people, are trying to save whatever is left of Little Syria, "against a backdrop of fevered political debate over immigration and the acceptance of Syrian refugees." "The Syrian Colony, Washington Street"
the area became a destination for Arab immigrants in the 1880s, after German and Irish immigrants started to fill in this part of the city in the 1830s and 1840s. They used the proximity to lower Manhattan's waterfront to establish import and export businesses. The immigrant arrived from the former Ottoman Empire-controlled Greater Syria: Syria, Lebanon, Israel, Palestine and Jordan, thus giving the community its name. Mses. 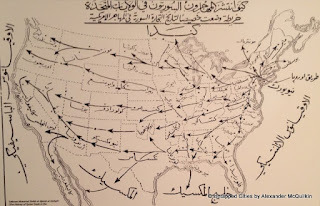 Brait and Gajanan write "Between 1880 and 1924, 95,000 Arabs moved to the US, boosting the Arab-American population to 200,000, in cities such as New York, Boston, Chicago, Detroit and Cleveland." Todd Fine told the reporters that New York's Little Syria became a cultural hub, on par with Paris, Cairo, Beirut. By the turn of the 20th century, Syrian Americans established 300 business in the city and developed community organizations. Arab Americans contributed to a literary renaissance, revitalizing the Arabic in the Middle East, following the conversion of the linotype machine to Arabic characters by Naoum and Salloum Mokarzel of Al-Hoda newspaper. 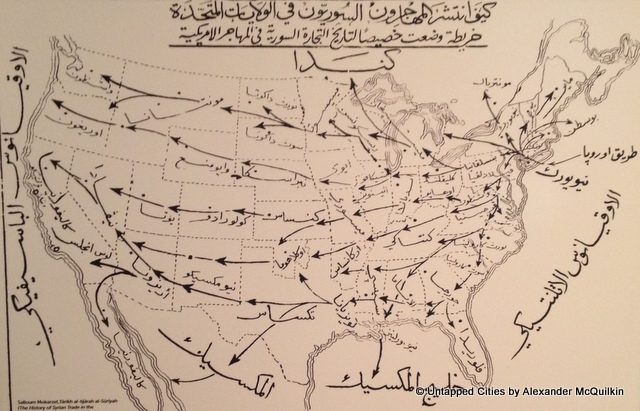 Between 1890 and 1940, the community published over 50 Arabic language newspapers, beginning in 1892 with Kawkab Amirka, there first Arabic language journal in North America. Mr. Fine told the reporters. Everybody wanted to talk politics about the Ottoman Empire...Out of the journalism scene and this this literary inspiration, there was this major movement and innovation in Arabic writing in the United States. 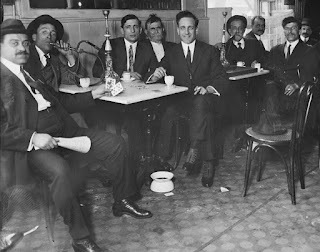 Little Syria was a vibrant working-class community...just like any other immigrant enclave at the time. There were kids playing on the street. There were families there that would call to each other out the window "Come home for dinner"...The people there, when Americans went there were very hospitable. They gave them tours. Carl Antoun Houck's family were merchants, a trade they brought with them from present-day Lebanon. They suppled the peddlers with the essentials such as furniture, dried goods, jewelry, and silks. 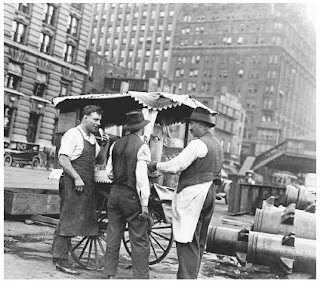 Linda Jacobs, the author of the book Strangers in the West, the story of Arab immigrants in lower Manhattan said "Little Syria was similar to that of other immigrant neighborhoods in the Lower East Side, the people who first settle there suffered from unfortunate conditions." She said, It was horrible...Life was horrible there. 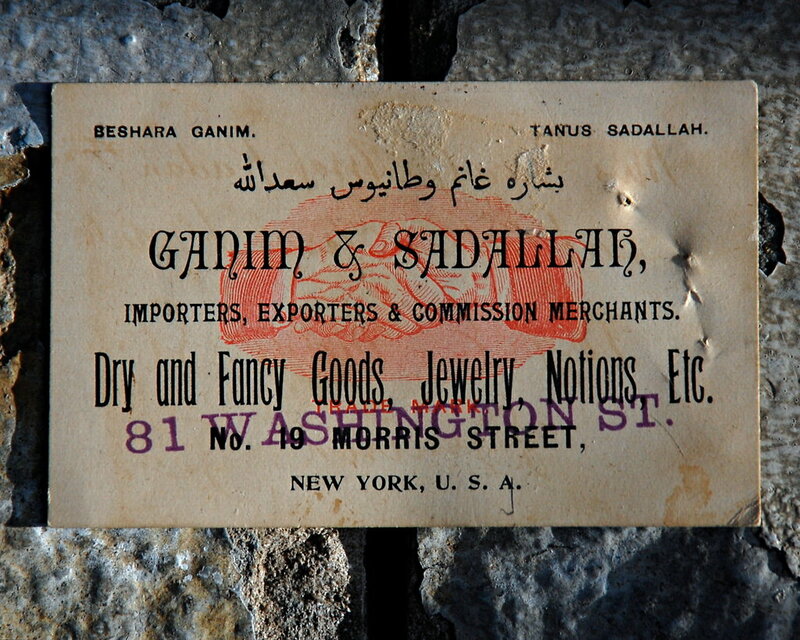 For the Syrians of the 19th century, it was horrible...But they, like every other immigrant group, figured out how to make a living in this country. All of those who stayed were better off than when they began. I think they wore exotic clothes to attract people to come down and buy things from them...Occasionally you'd see people dressed up in native costume, but you know that they're dressed up. Most of the immigrants were immigrants were farmers or came from villages and established the neighborhood that reflected their former homes, to a degree. However, most assimilated to western life. Ms. Jacobs continues, Most of them were not shopkeepers-they figured that out here...Most of them were not urban. 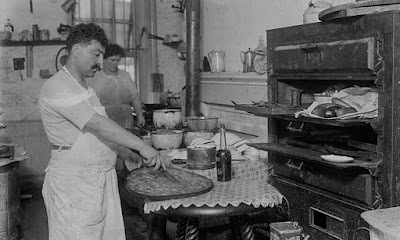 In the early 20th century, those who saved enough money began to move out of the cramped tenements of Little Syria to the nearby Brooklyn neighborhoods like Brooklyn Heights and Atlantic Avenue. 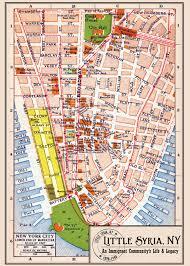 Mr. Houck's family were among those who moved to Atlantic Avenue-"Little Syria Part Two," according to Mr. Houck. The Houcks, like many others, still returned to Washington Street for work. That neighborhood has suffered more than any other neighborhood, I think, in the whole city...That just our biggest goal, to honor all that, since it's been so disrespected. "We're still fighting, and we're very afraid"
I hate to say it-I always find it a little fitting because the word 'Syrian', you know it's covered by the pipe...Kind of a metaphor. The community house, the red brick building next to the church has yet to be designated a local landmark. The Washington Street Tenement, standing five stories tall and once was home to about 50 people, is now a rent-controlled apartment but will soon give way to a new skyscraper. Little Syria is known for its mostly Christian population, but an artifact discovered last December has shed some light on the Muslims who also lived in the area. A mosque, discovered on Rector Street, around the corner from St. George's and a short walk from the World Trade Center, reveals the history of Muslims who lived and worked in the United States. The mosque was during the community's period of historical significance. 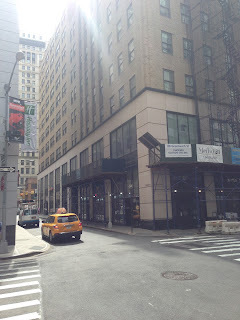 Even though the building was razed in the mid-1950s, information about still exists in the archives of the New York Sun, which reported about it in 1912. Mr. Fine said the mosque was probably not active for a long time and might have been part of the Ottoman Empire's foreign policy. 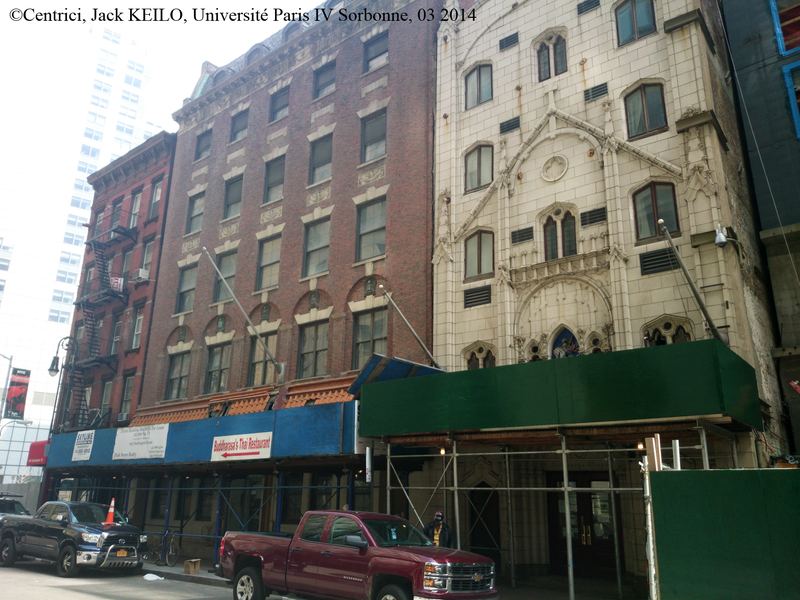 While the mosque may be a memory, the three remaining buildings are the bone of contention between the Washington Street Historical Society and the Landmarks Preservation Commission. While the church is protected as designated landmark, the remaining building are in danger of being sold and demolished. Todd Fine and the members of the historical society have been working for years to get the remaining buildings landmarked, but to no avail. We're still fighting, and we're very afraid, Mr. Fine said. Based on letters from 2014 from commission chair Meenakshi Srinivasan, the buildings, while physically located within the area formerly known as Little Syria, have a limited connection to the historic fabric of the neighborhood. Ms. Srinivasan was specific about why the tenement and community house were not part of the historic fabric of the neighborhood. However, Mr. Fine argues that they exhibit "architectural qualities that connect specifically to Syrian design." He said The architecture is designed to communicate to the immigrants that they belong to the country. something that could've humanized Arab Americans in a delicate way. It seems a little bit like a missed opportunity...I feel like there's a lot of confusion about Arab Americans. 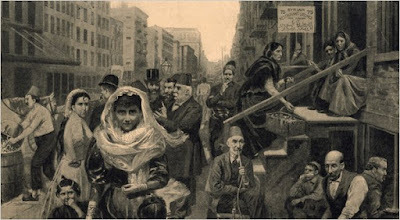 There were some Muslims in Little Syria, and it would have been nice for the 9/11 museum to maybe have one sentence or one photography of that just to show people that Arabs and Muslims had been part of the country long before and they were actually in this historic neighborhood. People don't necessarily go out of their way to celebrate Arab American heritage...It takes a while to explain what you're talking about and why this is important. There's not a lot...Today, you kind of have to have a lot of imagination. The streets are there and if you know the geography, you can kind of imagine something. Are Cities Part Of The Obesity Problem?